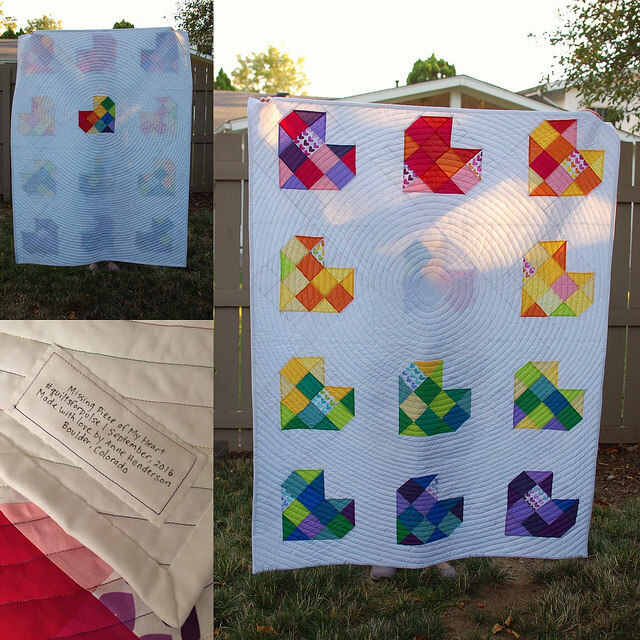 I’ve put in the last stitch on this quilt and it is on its way to Florida where it will be distributed with hundreds of other lovingly made quilts through the Orlando Modern Quilt Guild to survivors, victims’ families, and first responders from the shooting this summer at the Pulse nightclub. 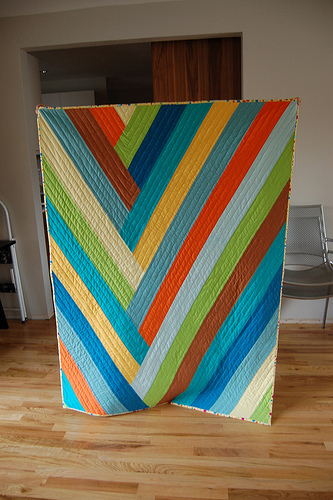 My quilt includes the note below. I spent a significant amount of my middle and high school years skiing, camping and hiking in the mountains with my dear friend, Gina. 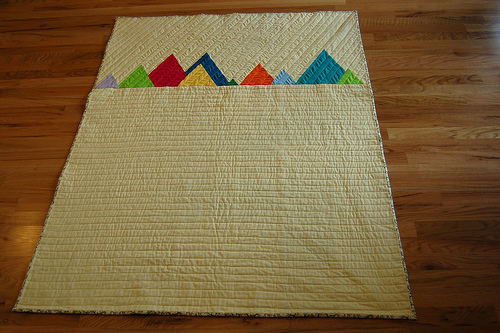 When she called a few months ago to tell me she was pregnant I knew I wanted to create a mountain themed quilt for her new little one. 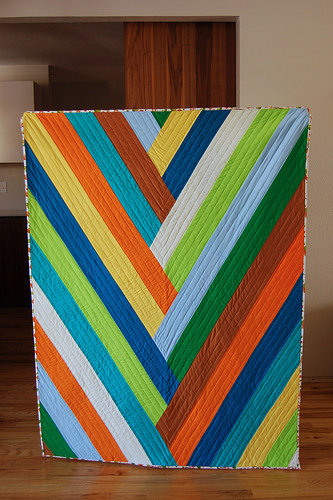 Another striped baby quilt! Clearly I’m loving this pattern these days. And in all honesty I’m working out kinks in the “pattern” with each version that I test, so I’m starting to finally feel like the concept is a real thing.